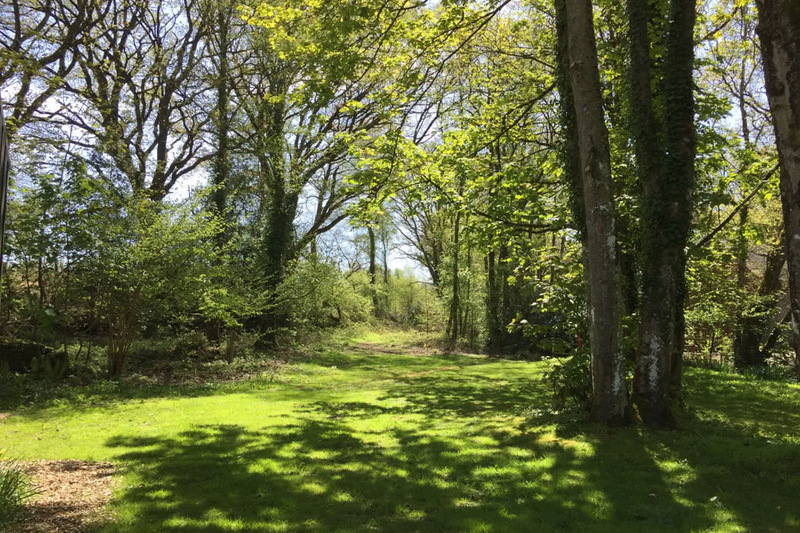 Experience all the creature comforts of a luxurious 2 or 3 bedroom wooden lodge with bubbling hot tub right in the heart of the beautiful Dorset countryside, surrounded by deer, squirrels, tiny hopping bunnies and abundant birdlife. 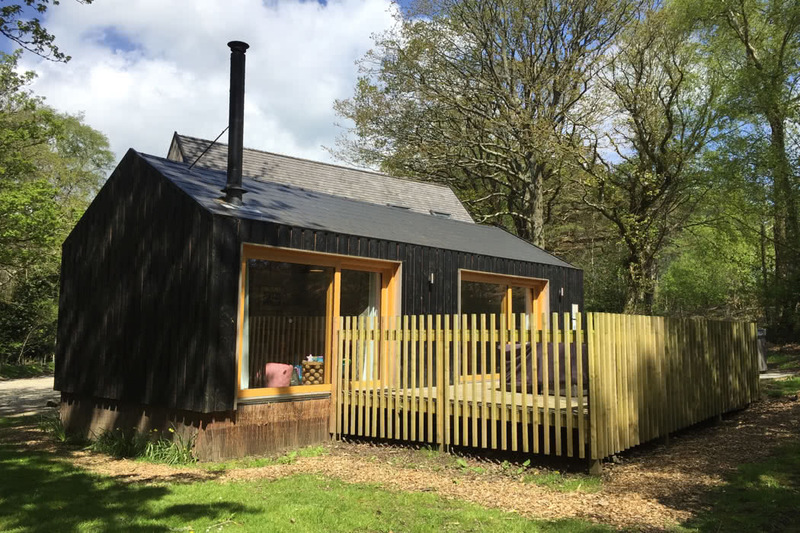 Burnbake is a truly magical, woodland oasis surrounded by dramatic coastlines and blue flag beaches and is truly one of my most favourite family escapes. 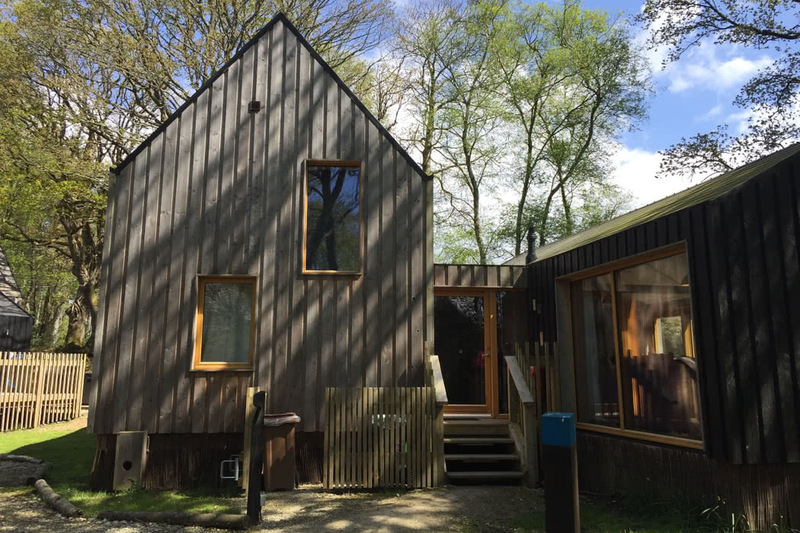 The beautiful lodges make the perfect ‘home away from home’ right in the midst of nature. Having stayed in an airy 2 bedroom lodge and an even more spacious 3 bedroom Executive Lodge, I can assure you that you have all the creature comforts of a luxury hotel room combined with the benefits of your own private deck with seating area and hot tub right outside; crackling log burner to keep you toasty indoors and the tweeting of birdsong as a musical backdrop. 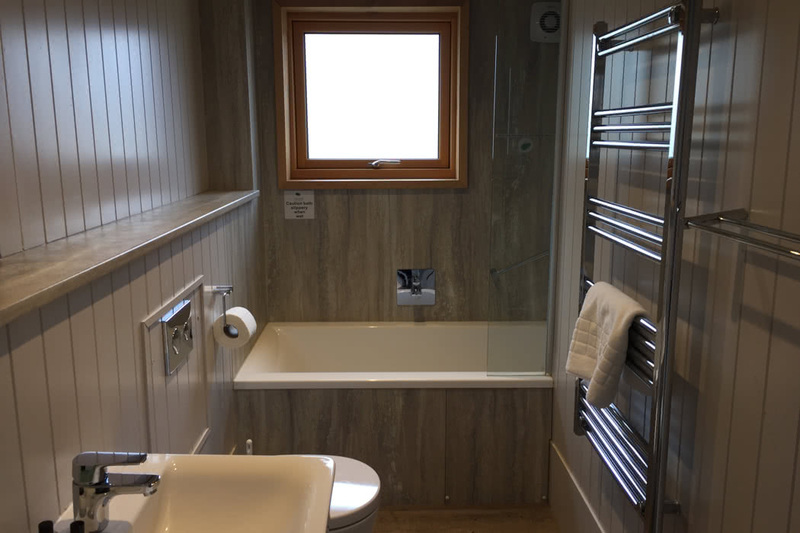 Lodges boast: incredibly comfy beds, oak furniture, cosy sofas, flat screen TVs, free wifi, robes, slippers and an ensuite and a full size bathroom with complimentary toiletries. 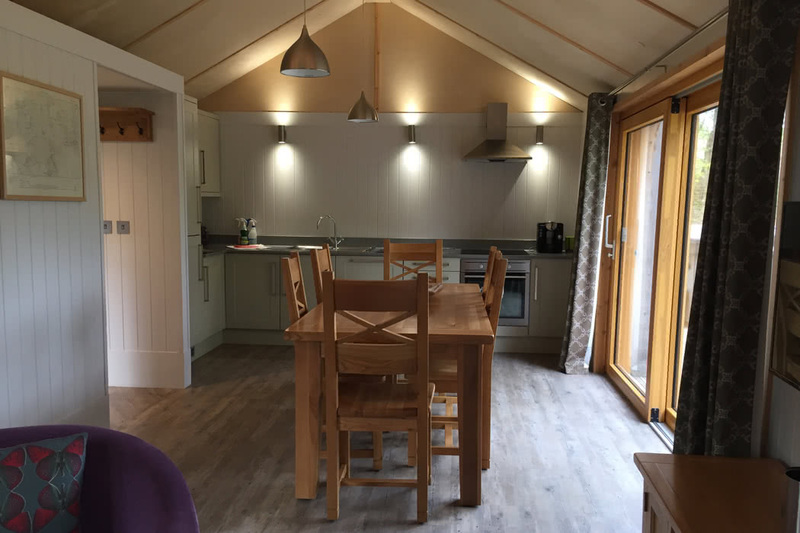 There’s a fully equipped kitchen with crockery, cutlery, glassware for indoors and out, a dishwasher, microwave, coffee machine, kettle, toaster, fridge, freezer, oven and hob, dish clothes, washing up liquid and tea towels. 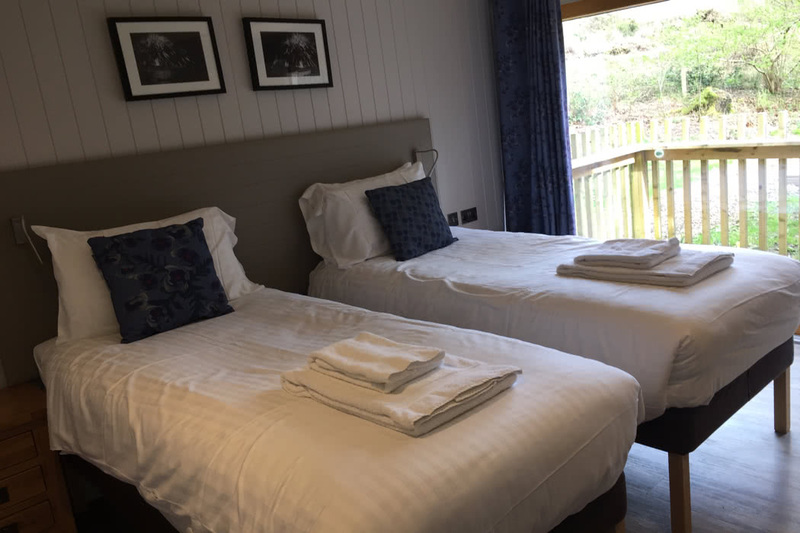 The Executive Lodges are even more spacious and lie in their own woodland glade. They come with an even higher level of furnishings including a Bang and Olufsen surround sound music player and an additional flat screen TV in the master bedroom. 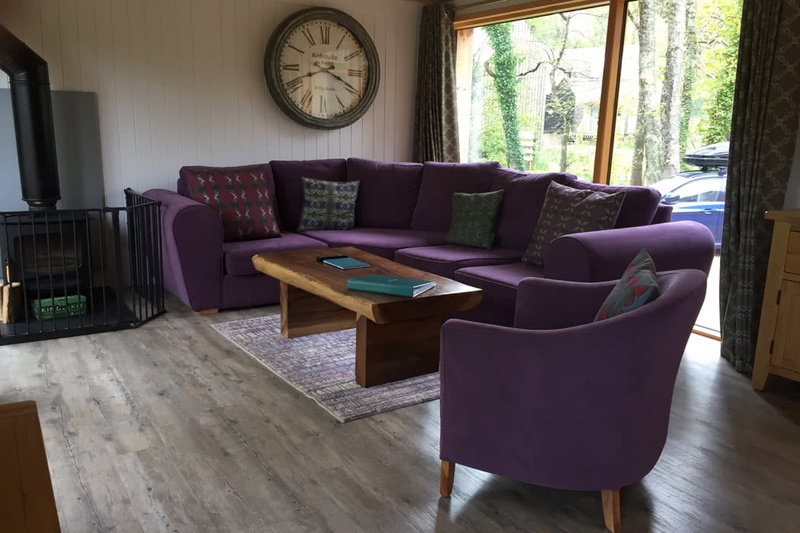 A stay at Burnbake means children can be children, simply enjoying a sense of freedom and good old fashioned play, busying themselves by the stream, hiding in the woods and foraging in the forest. As night falls, campfires crackle and marshmallows wait to be toasted. During peak season, the quirky little eatery tempts with artisan treats for a tasty feast under twinkling fairy lights. Plus, for the hardier amongst us you can always pitch your own tent in the camping area and take advantage of all the benefits the property has to offer. Throughout the year there are lots of events for the children to enjoy including festivals, fairs, firework shows, regattas and carnivals. On top of this there are some of Britain’s finest beaches lying along this glorious piece of coastline, including: Sandbanks, Studland and Lulworth Cove, just to name a few, not forgetting the charm and wonders of Brownsea Island). Or why not discover the Jurassic Coast, a UNESCO World Heritage Site, that stretches for 95 miles from Old Harry Rocks in Studland Bay to Exmouth in Devon. For those who love castles, there’s the striking ruins of the one thousand year old Corfe Castle just a stone’s throw away. If it’s action and adventure you’re after there’s plenty to do, including: archery, shooting, climbing, abseiling, kayaking, bushcraft, coasteering, cycling, golf and horse riding to name but a few! Plus local attractions include: Dorset Water Park, Monkey World, Swanage Railway and The Tank Museum. I think you can see why this property truly has something for everyone! Famous for its cider apples and lush green Areas of Outstanding Natural Beauty, Somerset is a beautiful area for a family escape and reconnect. 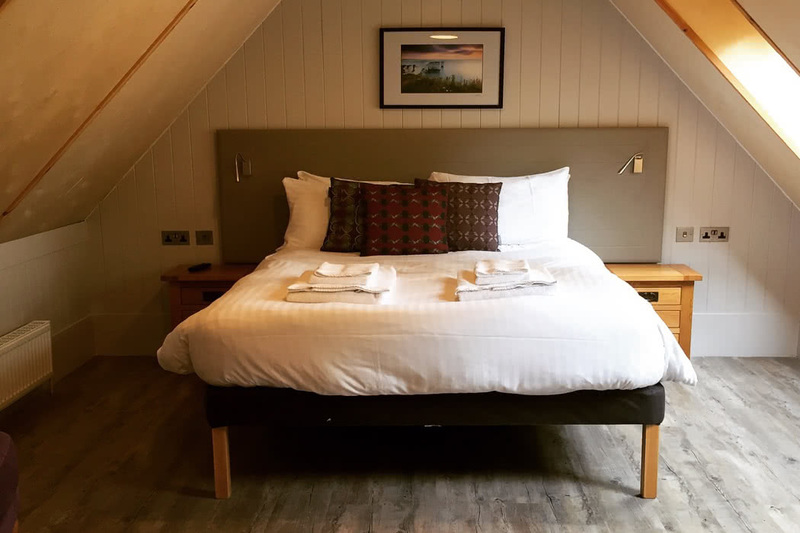 A great property to do it from is Coombe Lodge, a fabulous Scandinavian style lodge that sleeps 6, with a steaming hot tub and sauna, all set in the stunning Quantock Hills Area of Outstanding Natural Beauty, with views as far as the Bristol Channel. The lodge, set on a working farmstead, is exceptionally spacious with 3 bedrooms, a galleried landing overlooking the open plan living area and kitchen, utility room, bathroom, ensuite showerroom, complimentary wifi, a lovely verandah at the front and, adding great character to an already exceptional property. The lodge is easy to reach and yet just far enough off the beaten track for peace and tranquility and time to reconnect with loved ones. In terms of activities, the Quantocks are criss crossed with footpaths and bridleways, ideal for walks, hikes and mountain biking and Exmoor National Park and Hestercombe Gardens lie just down the road. For fossil hunters a trip to Kilve Beach (a rocky beach and a Site of Special Scientific Interest) is a must with ammonites and reptile remains to be discovered. Plus there’s so much more, including: watching the starling murmurations on the Somerset Levels, a Site of Special Scientific Interest; wiggling through the famous letterbox squeeze at Cheddar Gorge; dancing the day away at Glastonbury Festival; looking to the skies for the Bristol Balloon fiesta or taking a hot air balloon ride over the Levels; getting muddy at the Lowland Games; going caving in Wookie Hole; riding the East Somerset Railway; listening to local musicians at Burnham-On-Sea’s annual folk festival or visiting the animals at the Somerset animal sanctuary. Suffolk is the perfect location for a blissful British family countryside retreat in the heart of ‘Constable Country’. Conveniently located (just 90 minutes from central London! ), with quaint villages, idyllic countryside and a delightful coastline. Cressland By The Splash, a 15th Century Grade II listed cottage, is the perfect location from which to discover it all. The cottage lies in Kersey, one of the most photographed, and picturesque villages in Suffolk and is right next to the famous centuries-old water `Splash’ in the heart of the village. Awarded five-star Gold by VisitEngland., the lovingly restored cottage retains many original features and boasts four bedrooms (2 with king size beds, 1 twin and 1 single) a large living with welcoming open fire, a dining area with a huge table perfect for hosting family parties and a large kitchen. Outside there’s a beautiful cottage garden, a summer house and plenty of space to lie back on a deck chair or dine al fresco when weather permits. In terms of activities Suffolk offers zoos and wildlife parks, Pleasurewood Hills Family Theme Park, Go Ape Thetford, Hollow Trees and Jimmys Family farms, Clare Castle County Park, Suffolk Owl Sanctuary and Framlington Castle. Or you can visit the beautiful Suffolk Coast & Heaths Area Of Outstanding Natural Beauty which lies about 45 minutes away. 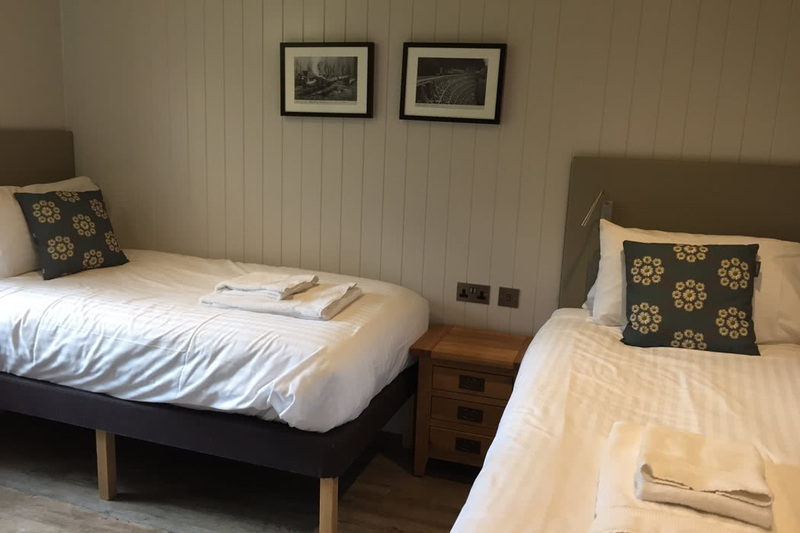 Yorkshire is not only a beautiful part of the country, but it has a lot to offer a family, but rather than staying at the obvious Parkdean Resorts, why not try somewhere a little more homely and special? Clara’s Cottage sits in an idyllic spot beside the pretty Gypsey Race stream in the quiet village of West Lutton, right in the heart of the Yorkshire Wolds. There are a lot of wonderful sights to explore in the surrounding area; Sledmere House, Castle Howard and Burton Agnes Hall are a must. The historic walled city of York is nearby and for sandy beaches head to Filey, Scarborough and Bridlington or there’s the huge chalk cliffs at Flambourough Head. Even exploring from your own front door will find you some fabulous walks, up Thirkleby Wold or through the surrounding fields. Even better, this is a relatively peaceful and undiscovered area, so it’s not packed with tourists like some parts of very popular Yorkshire. Originally an estate worker’s cottage, this quirky property has been thoughtfully extended and renovated with exposed roof timbers and floor joists, a whirlpool Jacuzzi bath and a log burner. There are two double bedrooms, one single bedroom, a bathroom, dining room and sitting room ‘snug’ with wood burning stove. 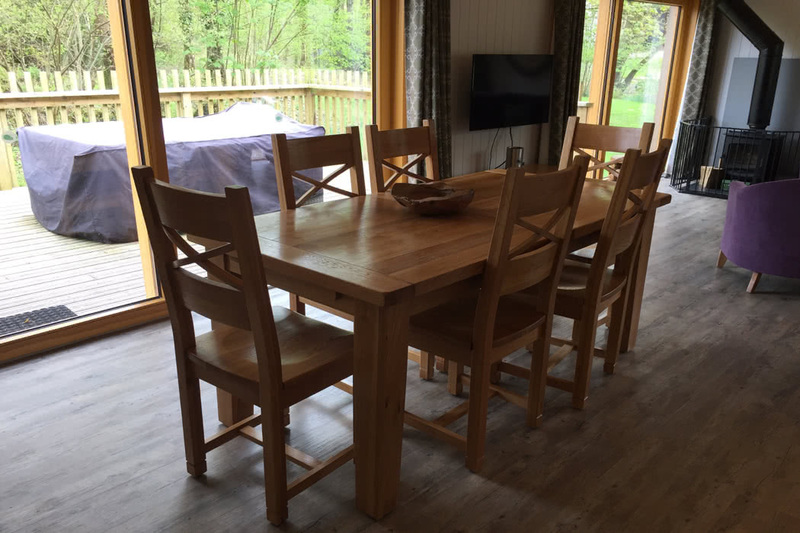 Plus, there’s a huge, well equipped, country style kitchen with everything you need to self-cater, including some things you just don’t expect like a Nespresso coffee machine, sandwich maker, slow cooker and hand blender! Outside the enclosed lawned back garden is home to an adorable south-facing summerhouse as well as outdoor table and chairs and a barbecue perfect for sunny days. There is off-road parking and if you’d rather be on two wheels, you can borrow bikes and use the secure bike storage. If you’re thinking of a cultural city break, then why look anywhere other than our fabulous capital, with more museums, history and attractions than I can think of?! Forget staying in an impersonal inner city hotel and instead choose a more welcoming and luxurious stay in an ideally located apartment. London Lifestyle Apartments’ ‘The Cadogan Elegance’ is a luxurious serviced apartment in wonderful Knightsbridge that offers a more exclusive and altogether more ‘London’ experience. Situated on the exclusive and fashionable Cadogan Square, 5 minutes’ walk from Harrods store in Knightsbridge and 8 minutes’ walk from Sloane Square and King’s Road, Chelsea, this apartment truly lies in the beating heart of London. The immediate vicinity of the apartment provides numerous small shops, restaurants and coffee shops. From here you are a mere stone’s throw from The Natural History Museum, Science Museum and London Transport Museum, or why not visit Battersea Park Children’s Zoo, Go Ape Battersea Park, Kensington Palace or take a Paddington Bear or Chelsea FC tour? The Princess Diana Memorial Playground is a must and St. Katherine Docks Treasure Trail and Hyde Park lie nearby too and I’m only getting started, there’s so much to do here you could stay for weeks! The 3 bedroom Cadogan Elegance apartment is located on the first floor of a beautiful Victorian house and is very spacious at 115sqm. Inside it’s bright, elegant and stylish with more than enough space for up to 7 guests. There is elegant but modern hardwood flooring throughout and the lounge overlooks the elegant garden square with the best view available from the balcony. There are 3 bedrooms, 2 bathrooms, a bright and spacious lounge, dining area, fully equipped modern kitchen and a charming balcony which offers wonderful views of the quiet square outside.